Score!!!!!! My girls have been begging for this in the stores, and you better believe that I am scoring this SUPER STEAL! 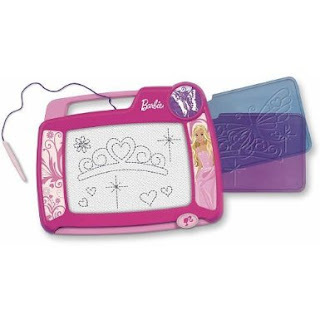 Right now, Amazon has the Fisher Price Barbie Kid Tough Doodle Pad with Stencils at 68% off. There's nothing better than Christmas shopping in July!